Home » General Interest » Why is there a dark side of the moon? All parts of the moon, with the exception of the corners of some deep craters that are in permanent shadow, are illuminated by the sun half the time. There is, however, a far side of the moon, which Earth-based observers never get to see, and which remained one of the great mysteries of nature until a Russian spacecraft orbited the moon in 1959. 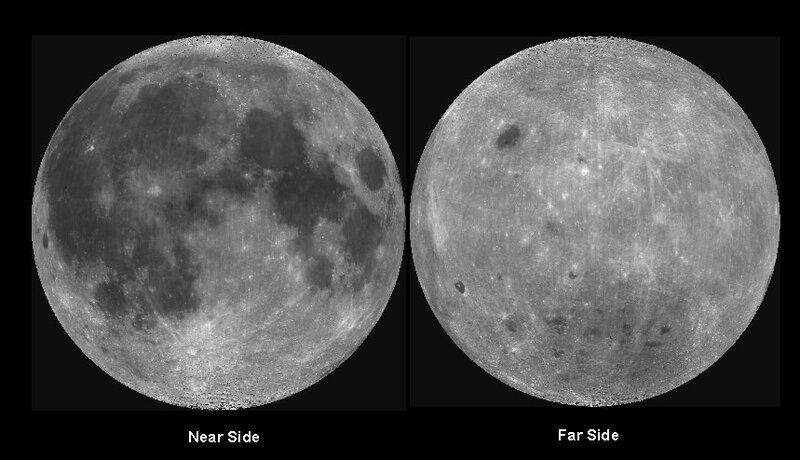 Why do we only get to see one side of the moon? The moon is in a synchronous orbit around the Earth; in other words, as the moon goes around the Earth it also rotates on its axis at exactly the right speed to ensure that the same side is always facing the Earth. At this time the moon was much closer to the Earth and both spun much faster, but the effects of the tides caused them to slow down and move further apart. Today they are 384,400 km (about 238,855 miles) apart, a distance that increases by 3.8 cm (1.5 in) a year). If there were no moon the Earth would now be spinning about three times faster, giving us 1,095 days in a year, each of them just eight hours long. It could be said that the far side of the moon is ‘dark’ in the sense of invisible and unknown, except that this is no longer true either. 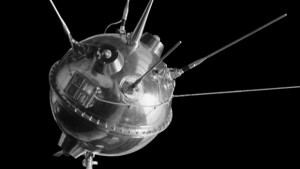 Spacecraft have now photographed the far side of moon extensively, starting with the Soviet probe Luna 3 in 1959. In addition the moon wobbles slightly as it spins, making a few degrees of the far side visible from Earth. 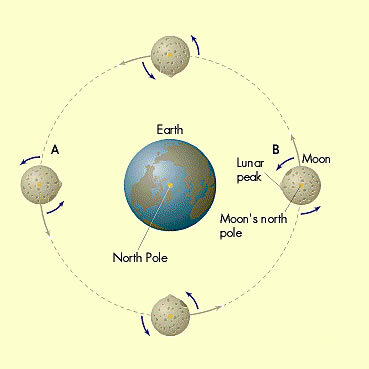 The same ‘braking’ effect acted on the moon, slowing its rotation until it reached what is called the ‘tidal locking point’, when its rotation became synchronous (perfectly coinciding) with its orbit, so that the same side always faces Earth. So what’s on the far side of the moon? Mainly a lot of craters named after Soviet heroes because it was their scientists who got to assign names first, giving us features such as the Mendeleyev and the Korolev craters. The far side is quite different from the near side, with fewer ‘seas’ (large, dark, relatively smooth areas formed from floods of lava) and more rugged, cratered highlands. This is because the far side has a thicker crust than the near side, a discrepancy which is another of the great mysteries of nature. One recent theory is that Earth originally had two moons, which collided around 4.4 billion years ago. The smaller one was smeared or ‘splatted’ across the face of the moon that would become the far side, and the impact drove the young moon’s magma across to the near side, where it produced a thinner crust and more frequent lava-flooding events.